Look what "fell off" the boat. Two British Tanks just randomly here for sale at my friendly used Tank emporium. The seats come custom faded and with old tea smell free of charge. The FV4202 starts at 33.99. For more information on the sale and to see the other bundles click on the picture above! Act fast before this Amazazing deal is going on from now (14sept) until 1Oct. Thanks for keeping us in the loop, Boop. Booploop? I have the Centurion Mk. 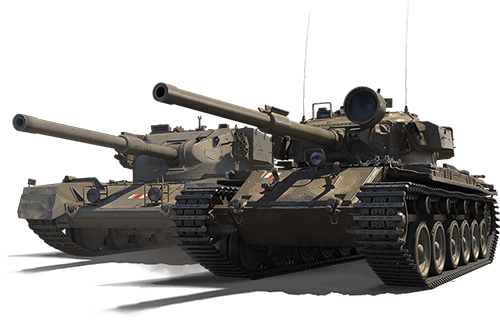 5/1 RAAC, or "Australian Centurion" - it's a rock-solid Tier VIII medium! Edited by Iron_Ladybug, Sep 14 2018 - 23:45. 5/1 is good and fun. Waiting for the new Caernarvon A/X to be sold with x5 missions. Learned not to buy during the Progetto marathon. Had I waited, could have gotten it with x5 missions. Only way I'm buying more tanks, costs more, but so worth it.